Despite still being in play-off contention, I’m a bit worried about Bristol City, whose performances have been steadily declining for a while. They narrowly avoided defeat at Barnsley, who conversely have been improving this season despite being embroiled in a relegation scrap. It’s easy to see why Reading parted company with Jaap Stam: their ratings have been dropping sharply and (as we’ll see below) they still aren’t completely safe from relegation. Wolves continue to look nailed-on for Premier League football next season and Cardiff aren’t letting up, so resurgent Fulham may have to negotiate the play-offs. 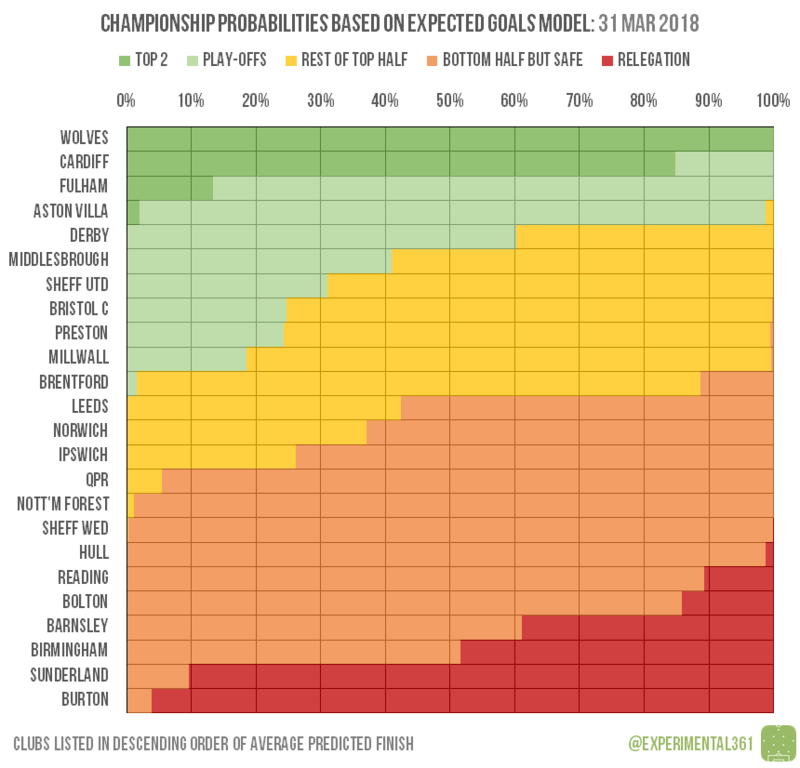 Aston Villa also look destined to finish in a play-off spot, but the lower two berths remain up for grabs. 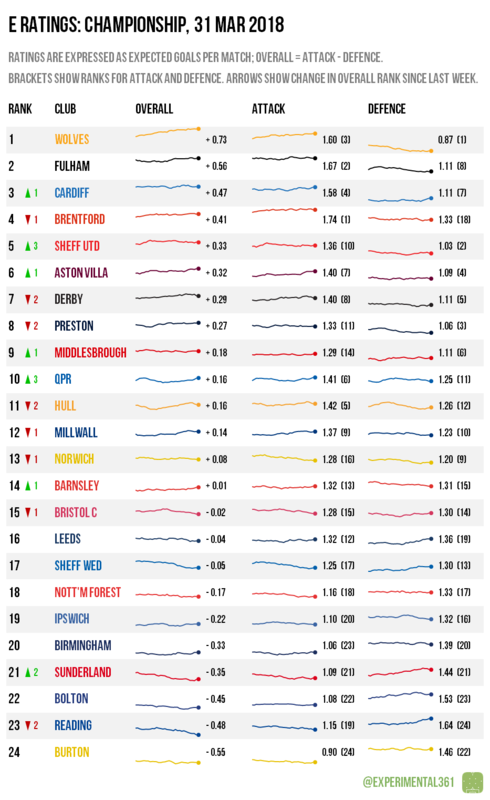 At the bottom, Sunderland need more results like this weekend’s win over Derby if they’re to avoid the drop, while Birmingham‘s recovery under Garry Monk has dragged Barnsley back towards danger.